God - I Love You is my book that answerstwo question: Is there a God? & Is there proof that God eixsts? The answers are yes & yes. To understand, read the book. Start by reading the cover below amd feel free to judge this book by its cover. To know God exists based on faith is Divine, to know God exists based on reason satisfies the divinely created mind. Written with passion by Rénald A Richer, a lover of God, the one and only God for everyone. 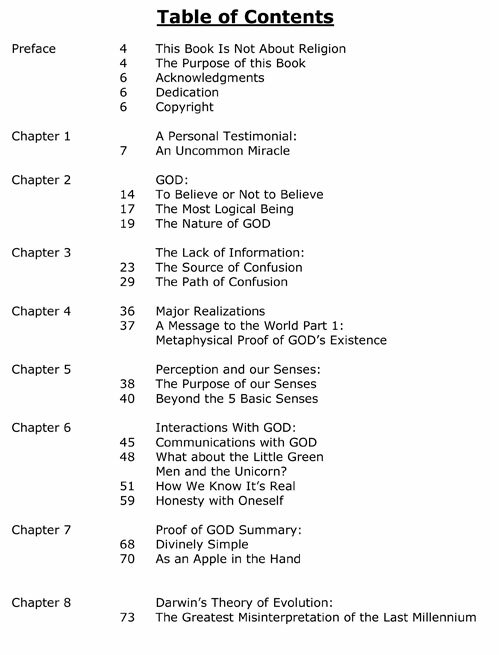 Below is the tentative cover of my book followed by the table of contents and the first two pages of my first chapter. Click here to send me an email asking to be notified when I have published it.